Imagine being able to inspire your children and encourage them to be active while building their self-esteem in a fun and positive way. That was the idea behind my kidsquarters Sports Kids t-shirts. As a parent, I'm always on the lookout for products that are customizable and that come in a variety of styles or colours that are sure to please my daughter. When I was asked to review my kidsquarters t-shirts, my daughter jumped right on board. 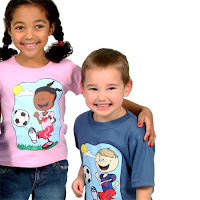 She saw all the options available to her but was easily drawn to one of the first pink tees that she saw, which happened to be the Soccer Sports Kid tee. I quickly pointed out to her that there was also a Ballerina Sports Girl tee, hoping she would opt for that instead. It's not that I want her to choose an activity that is often associated with girls. It's simply my secret desire that she share the same passion for dance as I do! When she insisted on the soccer tee, I knew it was what she wanted. She felt very confident about her decision. She instantly narrowed it down to Sport Kids Amy and made sure I specified that the t-shirt colour be in pink. When it arrived in the mail, she tore open the package and threw it on, right over top the shirt she was already wearing. She wore it proudly and was eager to show it off to her aunt and grandmother. The concept is simple - we have a range of illustrations of kids participating in various sports; customers choose the illustration that most resembles their child and we customize the hair colour, skin tone and add any distinguishing features such as glasses, freckles or specific uniform colours or numbers. The child can now relate to the illustration because it looks like them. The t-shirts retail for $19.99 which includes any requested customization. I really like the illustrations and the use of bold, bright colours. But what I really like about my kidsquarters is the wonderful selection of unique gifts for kids, such as their personalized blankets, funky bags, pillows and their adorable helmet covers. The best part is that all the products by this Pickering-based company are made in Canada! As a crafter who loves designing my own greeting cards, I truly appreciate the creativity and thoughtful design behind my kidsquarters products. You can customize and purchase products via mykidsquarters.com and you might also like to know that my kidsquarters is a UNICEF Global Parent, donating to UNICEF monthly to help children around the world. In addition, if you spend $100 or more, shipping is free. But wait, it doesn't stop there. My kidsquarters is also offering Toronto Teacher Mom readers an additional savings of 10% off their purchases. Simply use coupon code "TORONTO" to take advantage of this offer. Two lucky readers of Toronto Teacher Mom will each receive a customizable t-shirt from my kidsquarters. Contest ends March 31, 2010 at midnight EST. Open to Canadian residents only. Winners will be selected using Random.org and must reply to the notification email within 3 days or a new winner will be drawn. I was sent a customized t-shirt for the purpose of this review. I was not compensated in any other way. 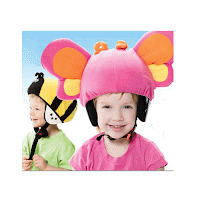 Love the covers.I bought some for my kids at http://www.helmetzoo.com and they love them! Good luck to the winners! I loved the personalized ballet pillows. My little one is really girly-girl and divarific. She'd love it!! I love the Chelseyah ballerina girl design, very cute! I love the personalized pillows! With all the kids in the house liking sports its hard to choose just one favourite t-shirt. I like that the children on the t-shirt can be personalized to look like your own child. Some of our favourite, the baseball, karate and ballerina tees! I love the budding ballerinas pillow. Cute! Follow on Twitter & tweeted @ http://twitter.com/Naddez/status/10962308752.